Celiac disease, an allergy to gluten that causes damage to the intestine, affects 1% of Australians. But more than ten times this number, or around 11% of the population, follows a gluten-free diet by choice, and up to 30% of people in the United States try to reduce their gluten intake. People with a lower gluten intake had higher rates of type 2 diabetes. Not eating enough gluten could increase the risk of diabetes. Packaged gluten-free products often have added sugars to enhance flavour, and add emulsifiers and thickeners to improve the texture and make it similar to bread. Gluten-free markets have risen exponentially in the last decade due to consumer demand, even extending to the production of gluten-free food for dogs. Whether the market will expand or diminish with time is unknown, but food fashions are not new. Non-celiac gluten sensitivity is different from celiac disease. In celiac disease, gluten intake causes damage to the intestine’s lining, which reverses with a gluten-free diet. In non-celiac gluten sensitivity (also called “gluten intolerance”), symptoms like bloating and wind are common, but no intestinal damage or long-term health effects occur. 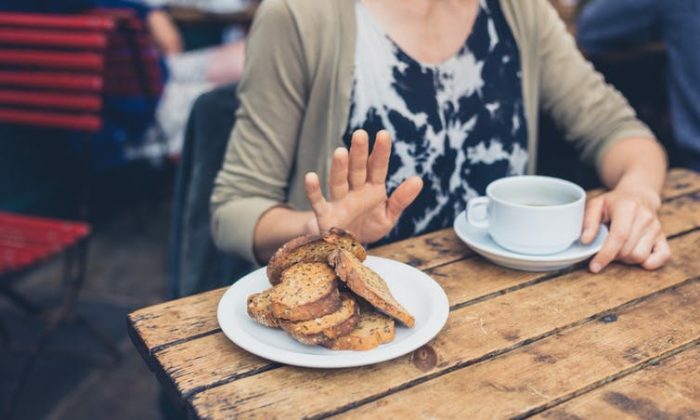 Another reason people may report improvement when commencing a gluten-free diet is the exclusion of many other foods that are known not to be healthy, such as cakes, biscuits, crackers, and beer. All diets were also low in wind-causing sugars, called FODMAPs (Fermentable Oligosaccharides, Disaccharides, Monosaccharides and Polyols,) which can cause similar symptoms. They found most of the group improved regardless of whether they were on a high gluten, low gluten or gluten-free diet. They concluded there was no evidence for gluten alone being responsible, but the reduction in FODMAPs could explain the symptom improvement. Another reason people may report improvement when commencing a gluten-free diet is the exclusion of many other foods that are known not to be healthy, such as cakes, biscuits, crackers, and beer. These dietary changes may also contribute to overall well-being. For people without celiac disease, there’s no evidence to support claims a strict gluten-free diet is beneficial for health. It’s even possible the opposite is true, and the avoidance of dietary whole grains resulting in a low fiber intake may be detrimental. Given gluten-free foods cost around 17% more, perhaps it’s time to reconsider a strict gluten-free diet chosen for health benefits alone, and instead include a diversity of gluten and gluten-free foods, with dietary variety as the key. Suzanne Mahady is a gastroenterologist and clinical epidemiologist and a senior lecturer at Monash University in Melbourne. This article was originally published on The Conversation. Read the original article.